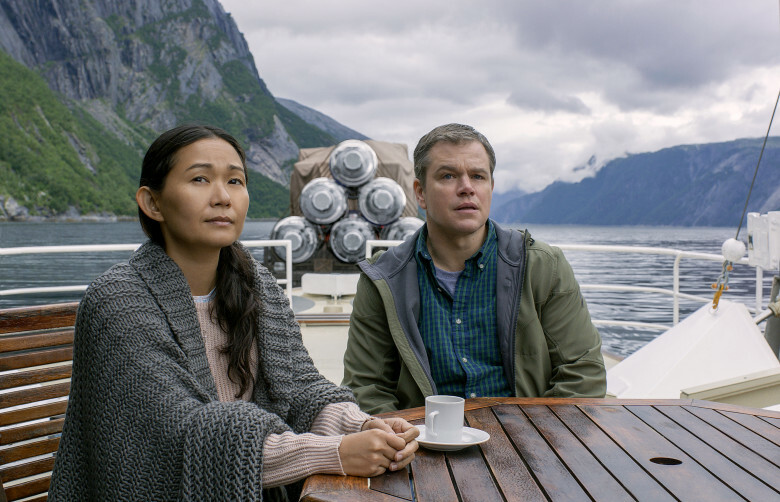 If Hong Chau isn’t a familiar name to audiences just yet, then her turn in Downsizing, director Alexander Payne’s peculiar sci-fi comedy venture, is about to put her on the map. 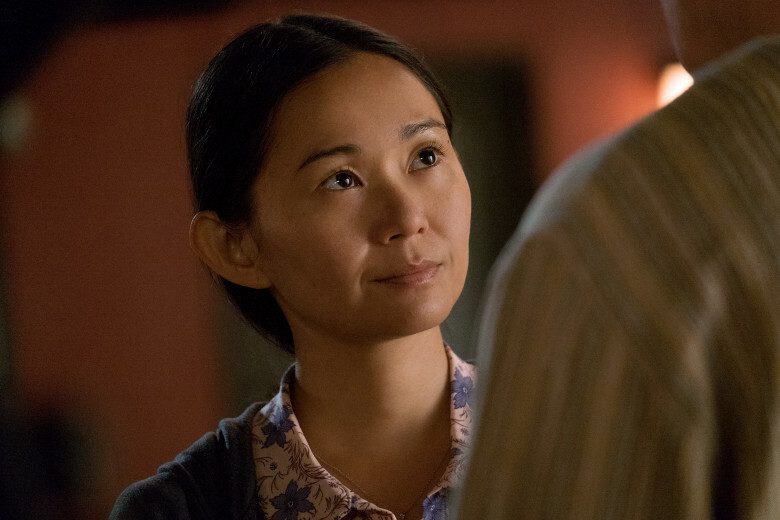 Chau’s performance as Ngoc Lan Tran, a Vietnamese political activist who is jailed and shrunken against her will, has already garnered her a Golden Globe nomination, and with supporting roles in the likes of Inherent Vice, Treme and Big Little Lies already under her belt, 2018 looks set to propel her in to the mainstream. Paul Weedon caught up with her at the London Film Festival back in October to discuss her work on the film and the importance of an authentic representation of Asian characters often sorely under-represented in the mainstream. How are you finding the press tour? Well, it’s my first time doing this much press because it’s only my second movie, but I’m so grateful that it’s this one and something that I’m proud to talk about. Talk me through how you initially came to be involved in the project. I read the script just out of curiosity about what Alexander was working on because I was a big fan of his and I didn’t know that there was going to be a role for an Asian woman in it, so that was a big surprise. I didn’t know anything about it other than it was a sci-fi satire and I read it in one sitting and I just felt buzzed afterwards. When the character first appears on the page I kind of had to stop myself for a second and cut off my actor brain because I just wanted to read it as another character in the story and just kind of keep a distance from it. So that was a little bit hard to be disciplined about because it was just so exciting to see this character at all on the page, because it’s a character that I’ve never seen before in any movie. I’ve never seen a character like this. What is it about being human that creates this sort of chaos...? What was it for you that stood out about her particularly? She is an intersection of so many different groups. And I don’t think that that was a conscious thing on [writers] Jim Taylor and Alexander’s part when they were writing it. I don’t think they had a social agenda that they were working on. I think they took the premise and thought about it logically. Well, if we have this technology and some people are using it for good and some people are using it for bad, what would the bad reasons be? And, of course, every choice that they make is so grounded in reality and it’s a truthful one, so nothing feels contrived, even though this is a sort of bonkers premise where you shrink people down to five inches tall. But as a humanistic story, it’s about, what sort of human traits do we have where, because of them we just keep repeating certain things over and over collectively in certain situations that really aren’t very good for us? What is it about being human that creates this sort of chaos that seems so unnecessary a lot of times? She’s an incredibly complex character. How much scope did Alexander give you to experiment with what was already written? I felt like I had a lot of freedom with it, but not in any kind of improvisational way, because I just loved what was already on the page. I didn’t have any problem with anything. I didn’t have to have any difficult discussions about the character with Alexander. It was just about reading and re-reading the script. I generally don’t like to have big discussions, either with the other actor in the scene or the director. I find also that they’re allergic to it as well – that they don’t like to do it. I guess it’s a much more internal process. You have to suss it out for yourself. Yeah… But with the character, it is a character that is potentially provocative, but I don’t think that it was intended that way. That comes in with whatever baggage the audience brings in to the movie-viewing experience… There have been so many other movies where an Asian character has been under-served or just been sort of a background character… And that’s not what’s happening in Downsizing. Before we started, he was like, ‘Yeah. You can change your character’s name if you’d like to’. And I was like, ‘No, we’re gonna to keep it, because I don’t wanna change it in to something that’s super easy for English-speakers,’ because with Asian characters it’s usually something easy to pronounce, like ‘Lin’, or ‘Mai’ or ‘Kim’, or something like that. I said, “No, we’re gonna do Ngoc Lan” and it’s a beautiful name in Vietnamese, but Americans have a wonderful way of butchering people’s names. This isn’t the first time you’ve represented people from your own background because you worked with David Simon on Treme. Having grown up in New Orleans, how important was it for you to be part of that show? Oh, amazing. I was living in Los Angeles when I auditioned for Treme and I did not think they were gonna bother to fly an actor from another city in because they have a tradition of hiring non-actors, and so I thought they were going to hire a local person. And when I auditioned I didn’t know how big the character was going to be or what the arc was. We had to two pages and it was a very short scene, so it didn’t imply that the character was going to grow in the way that she did. It was so wonderful because I was a fan of The Wire. My parents, when I was growing up, had a bodega across the street from the projects in New Orleans, so that show and all the characters felt very familiar and authentic to me and what I loved the most about that show was not so much about – I know that everybody loves Omar and I know that everybody loves Bunk, I appreciated all that, but what gutted me was when you would go in to their home life and you would see the relationship between Bunk and his wife and the kids. And the season that was all about the kids. My God. His brand of storytelling changed the standard for TV, because you just don’t get that additional context. He gives these additional titbits that he doesn’t necessarily need to give you. No, it’s the very not obvious choices. And I feel like Alexander’s the same way. When he’s making the mundane very exciting. Ngoc Lan is an amputee. How did you prepare for the physicality of the role? I had an amputee consultant. We shot in Toronto and she was based out of Toronto. She was also a below-the-knee, left-leg amputee – because that’s how specific we wanted to be. And she took me to the rehabilitation center where she had all of her physical therapy. I felt very nervous going in to it because I’m an able-bodied person going in to this facility where there are actual people who are disabled and they’re doing very difficult, personal work and I thought that I’d be very nervous going in to it. But everyone was so welcoming and so nice and so I felt very honoured and grateful and I know that it takes a lot of generosity to open up about your experience like that for a stranger. And, for me, as an actor, I never am attracted to just playing a physicality or a bit – just having a disability or an accent or something isn’t attractive to be because it can kind of be like a party trick. When you’re dealing with a character who’s disabled, that’s somebody’s life. That’s somebody’s reality, so you need to treat it with a lot of respect and profundity and not to turn it in to a gimmick, like a ‘bit’. It’s so funny - I never wanted to be an actor. I never intended on it. It’s integral to the character. Yeah. I don’t just want to wear an eye patch just to give a character some kind of outline or a point of interest. It really needs to be that this is who this person is. It’s integral to the character and to the story and what we’re trying to say and what we want people to see. One final question for you – I understand that you originally studied film with a view to a career behind the camera. Is that something you’d still like to go back to? Yeah. It’s so funny - I never wanted to be an actor. I never intended on it. And even I after I did Treme and even after Inherent Vice I was thinking about quitting acting and getting back on track because I remember, I think after Treme I was still sending out cover letters to be an assist for a producer... I mean, I still think that that could be something I would like to do and there are definitely stories that I don’t necessarily see myself acting in, but that I would like to help get made, but we’ll see. Downsizing is in cinemas everywhere now.